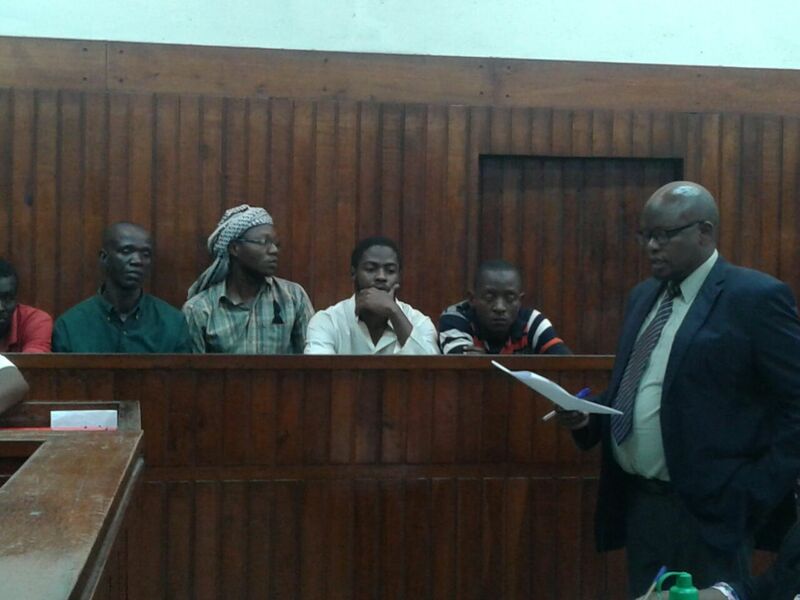 MOMBASA, Kenya — Four terror suspects were arraigned in a Kenyan court on Tuesday in the coastal city of Mombasa over links with the Al Shabaab and the Islamic State militant groups. The four terror suspects Ali Musa, Hamisi Hakimu, Yassin Ahmed and Mwinyi Hamisi were arrested on Friday last week in Mombasa City, but the court was not informed about the location of their arrest. The four were arraigned before Mombasa Resident Magistrate, Julius Nang’ea but were not allowed to take plea after prosecution was granted three more days to conclude investigations on the matter. The suspects have been detained at Bandari police station in Mombasa until the police have concluded investigations on their alleged terror activities. Efforts by prosecution led by Lydia Kagori to be granted 14 days to probe the terror suspects was rejected by the court after defense lawyer, Chacha Mwiti opposed the request. On Monday a Nairobi court in Kenya detained a terror suspect for three more days in an effort to allow police to complete investigations over the man’s alleged links with the terror group of Islamic State of Iraq and Syria (ISIS). Dr Abdullahi Abdulqani Allin, a doctor based at the Malindi General Hospital, a coastal town over 100 kilometers from Mombasa, was arrested at his Sea Breeze home last Friday, October 7, 2016 in Malindi Town. The police allege that the 35 year old doctor is involved in terror activities and has links with ISIS. Meanwhile on Tuesday police in Kenya’s Capital in Nairobi arrested a British national and two women of Somali origin at a house in the up-market Rosslyn neighborhood in Gigiri estate. They were arrested by detectives from the lethal Flying Squad and the Special Crime Prevention Unit in a house raid at noon on Tuesday. The three are suspected to have been recruiting and training Kenyans to join the Al Shabaab militant group. During the raid police found terror related items including training literature and books.